Middletown and Newport share more than a boundary. They share a pack, or family group, of coyotes. Members of this pack are, in general, very habituated: they have little fear of humans, urban traffic, and the noise of residential areas. The good news is they have never been aggressive towards people but, as with all coyotes, they don’t distinguish between small pets and their normal prey. If they cross paths with vulnerable animals, such as small unleashed dogs and outdoor cats, they will take them. They are wild animals that have genetically-programed predatory instincts. 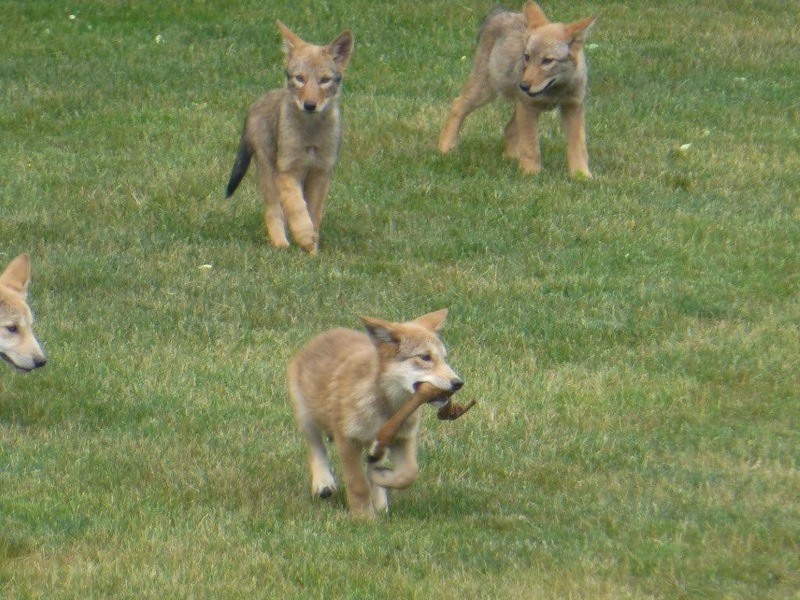 As luck would have it, this pack of coyotes is as benign as any group of urban predators could be. Our hope is we can keep it that way. NBCS has been watching this pack for years. 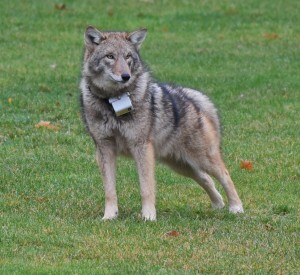 We collared one in 2010, “Java,” who we followed with GPS tracking then through photographs for almost a year. Middletown residents living within the territory of this group helped us by passing on photos and reports when they were seen. 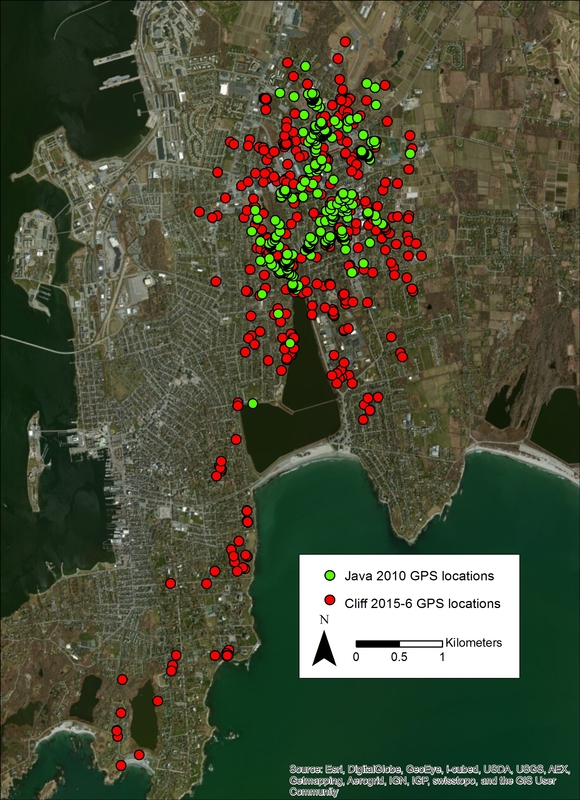 “Java,” ranged almost exclusively in Middletown. We called his family group the “Valley Pack. His movements showed he frequented the Bailey Brook valley and the east side of Green End Pond. Only once did he wander south to Newport, and we thought it was an anomaly. 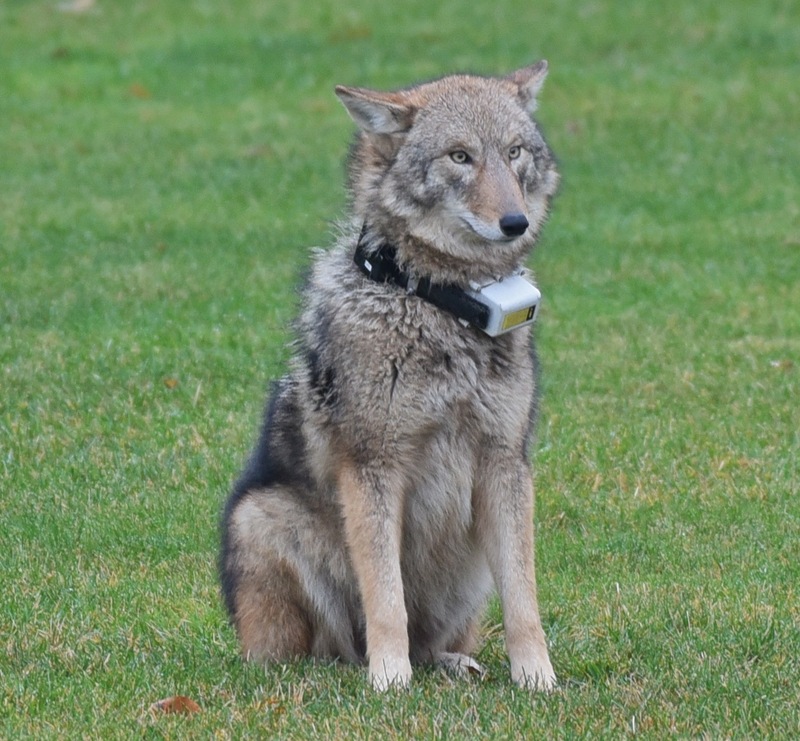 Hence we were completely surprised when we collared a large young male coyote from the Bellevue Ave area who, clearly terrified by being capture and collared, bolted for Middletown after his release. 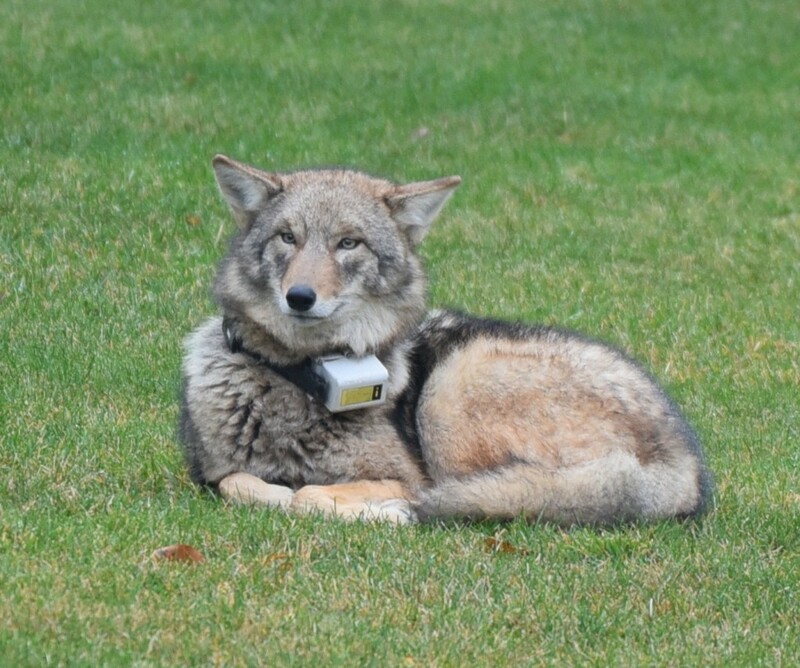 This coyote was named “Cliff” by Patrick and Meredith Wood Prince’s family who gamely let us trap for a “Newport” coyote in their yard. Since we collared him, Cliff’s movements have shown him to be a member of the Valley Pack but they clearly lay claim to a broader territory than we thought. They own the Cliff Walk and Bellevue as well. 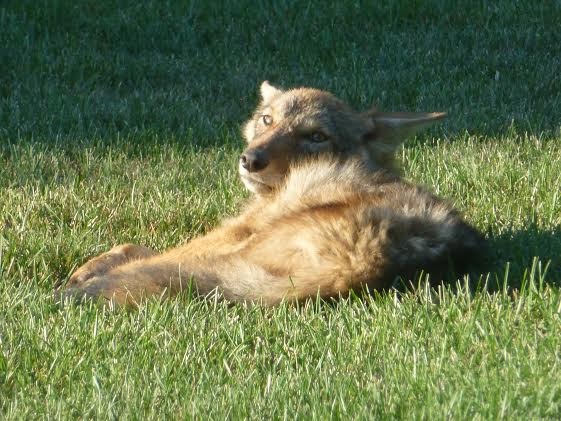 As it stands, the laissez-faire coyotes of Middletown are now regularly seen commuting to Newport via Kay Street, Bliss Mine Road, and Gibbs Ave. They are not particularly worried about nearby people, being seen moving during daylight hours, resting in plain view on lawns, or town lines. If you live in these areas do not be surprised to see coyotes on your lawn, or with a collar on. Our tracking of Cliff has not yet revealed that the universal coyote corrupter – food handouts – are being provided to this group of coyotes. So far it appears they have simply been tolerated, even appreciated by some for the antics of their pups, in the neighborhoods that contain their core areas. They are not aggressive but they are no longer fearful. 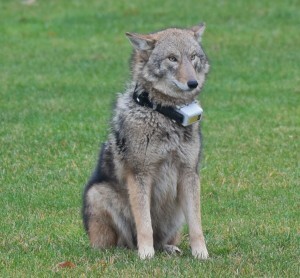 While these coyotes are a joy for some residents to view they are very concerning to others. 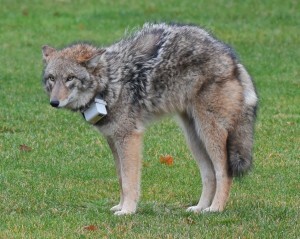 If anyone illegally feeds them these coyotes could make the mistake of approaching other people for food. Wild animals that approach can be suspected of being sick (rabies, distemper) or aggressive and often there is a call to have them put down. Hunters are hired or police may “euthanize” them. In short, being friendly to predatory wildlife by allowing them to become habituated to human activities and environments may not be a kindness to the animals. Better to draw a line line in the sand when it comes to residential areas. Do them the favor of yelling, throwing anything at hand, and making it clear they should stay wild.